Ione Mary Martin, age 90 of Apple Valley and formerly of Virginia died Monday, December 17, 2018 in Fairview Southdale Hospital. She was born April 28, 1928 in Duluth, the daughter of Joseph and Rhea (Renaud) Kulus; was a member of the Duluth Civilian Defense Council during WWII, and was a graduate of St. Mary’s School of Radiology. After graduation, Ione was employed by St. Luke’s Hospital in Marquette, MI for two years and moved to Virginia to work in the Virginia Hospital in 1951; and sold Avon for 52 years. She married Bill Martin in 1974 and helped raise funds to build the iconic, giant Loon that floats on Silver Lake during the summer months. 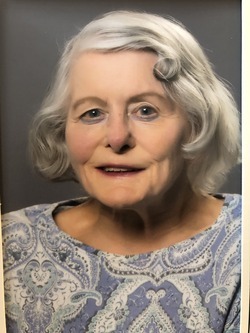 Ione was a member of Holy Spirit Catholic Church in Virginia where she taught religious education to high school students, a charter and board member the Northern Lights Players, was a Girl Scout Leader for several years, and a volunteer with AEOA helping people prepare their tax returns. She served on the boards of: Northland Volunteer Council, Virginia Teen Center and A.C.T. Actions through Churches Together – affiliated with the National People’s Action. Ione’s public service also included over 49 years with the Boy Scouts of America; where she served on the District and Council Committees as a Chairperson; was a Den Leader, Expo Chair, and Merit Badge Counselor. She was the recipient of the Silver Scout Award, the District Award of Merit, and the Silver Beaver Award. Ione also received the St. George Medal from the Duluth Diocese for her Civil Service. Christine (Matt) Rice, Louis (Andrea) Damato, Rachel Damato, Bob Galbraith, Nick (Jen) Galbraith and Cole Burek; seven great-grandchildren; Carter and MacKenzie Rice, Addy Martinez, Luca and Violet Damato, extended family and friends. She was preceded in death by her parents; brothers: Ken and Rod; husband: William Martin; and son-in-law: Louis Damato. A Mass of Christian Burial will be held at 11:00 a.m. on Saturday, December 22, 2018 in Holy Spirit Catholic Church. Reverend Father Brandon Moravitz, Celebrant. Visitation will begin on hour prior to the service at the church. Interment will take place in the Calvary Cemetery in Virginia.